The Framingham (Massachusetts) Heart Study began in 1948 to track all things associated with cardiovascular disease over an extended period of time. The study is on-going, now tracking heart health and its hereditary implications in the third generation of study participants. The study has revealed a vast wealth of information, including the cost of treatment over a lifetime. “We need a Framingham Study for autism spectrum disorders, especially to track risks and outcomes into middle and later adulthood,” say Drs. Paul T. Shattuck and Ann M. Roux of Drexel University in Philadelphia, Pennsylvania. Shattuck and Roux express this sentiment in an editorial they co-wrote for JAMA Pediatrics in response to a study of the lifetime cost for treating autism. The study, led by Ariane Buescher, of the London School of Economics and Political Science in England, puts the lifelong price tag for living with autism at roughly $2.4 million (£1.414 million). The Buescher study does not limit cost projections to medical care and service providers. 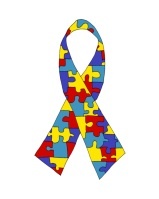 It also includes the considerable economic burden an ASD diagnosis places on a family’s social and financial lifestyle. The financial ramifications of the diagnosis continue well into the patient’s adulthood. Once an adult, costs vary widely depending on how well the patient can function in the workplace; some patients can hold jobs and earn an income but others, especially those with accompanying intellectual disabilities, may never get a job and require a larger degree of personal-care services. Source: Donegan, LeeAnn. “Study puts price tag on lifetime support for individuals with autism (press release).” EurekAlert! AAAS, the science society. Jun 9, 2014. Web. Jun 25, 2014.